Natural gas is one of the most important energy sources these days. However, it has to be cleaned of impurities by means of complex processes, some of which are harmful to the environment. Researchers at the Massechusettes Institute of Technology have now developed a method that enables natural gas purification using special filtration membranes. Cambridge/USA — Natural gas and biogas have become increasingly popular sources of energy throughout the world in recent years, thanks to their cleaner and more efficient combustion process when compared to coal and oil. Now researchers at MIT describe a new type of polymer membrane that can dramatically improve the efficiency of natural gas purification while reducing its environmental impact. 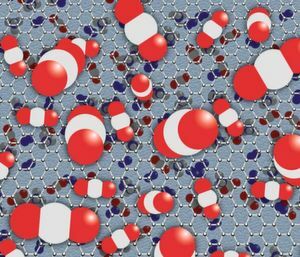 This stability gives the material unprecedented resistance to a process known as plasticization, in which polymers swell in the presence of aggressive feedstocks such as carbon dioxide, Smith says. “We’ve seen stability that we’ve never seen before in traditional polymers,” he says.